Something fun for the kids play kitchen! 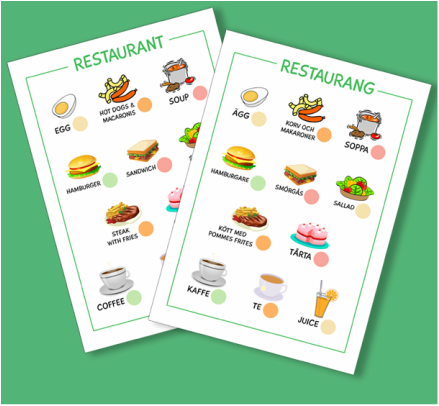 This helps them play that they have a restaurant and can also be useful for practicing buying/selling if they want to. I've left the price tags empty so that you can write your own prices after printing.